Beans, Meats, Soups, Meals, Tuna, and Peanut Butter!! For those who attended the May 8th meeting at Harvesters, those 6 foods have great meaning. For 90 minutes we helped sort the “proteins” for Harvesters. Whether it was by the pound or by the count, we completed several pallets of food that will be sent out to area food pantries. 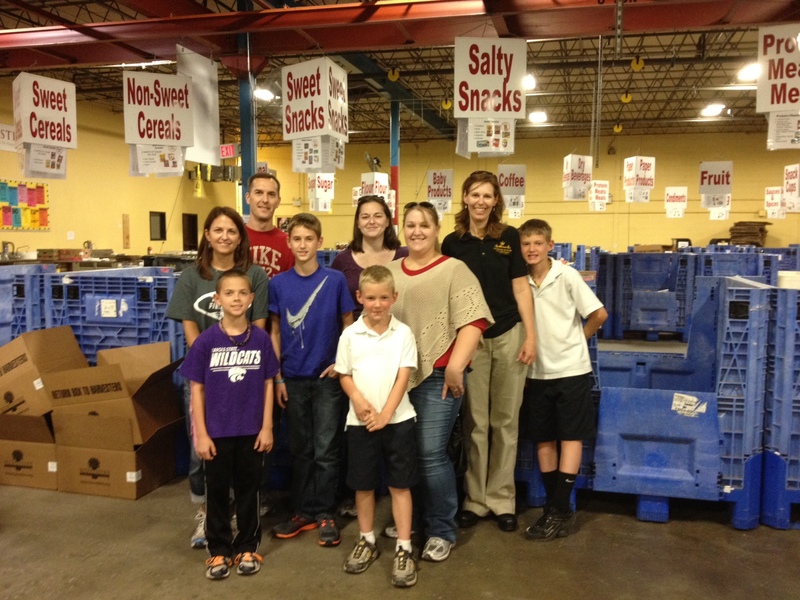 In addition to the IIE members, this was an excellent opportunity for a few of the kids to help out as well. Working the tape gun was my son’s favorite part, but whether it was taping boxes, sorting foods, counting or weighing cans, they definitely we able to lend a hand. The final 30 minutes included an informative tour of the volunteer sort area, storage warehouse, and both the refrigerated and freezer warehouses. It’s very interesting to see the various ways the food arrives to the warehouse, is handled, and then distributed to those who need it most. Thanks to all those attending!